If you've recently found yourself scrolling through a long list of files on CSDatum you might appreciate this update. 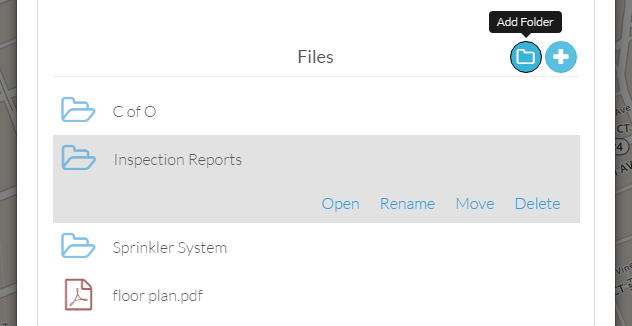 Folders can now be created within each asset in order to organize your agreements, reports, drawings and more. As part of this update we also revamped the file upload process. Instead of you waiting on several files to upload at once when an asset is saved, each file will begin uploading once added and you'll be able to view the progress.